You are currently browsing the category archive for the ‘LCS’ category. LCS – what is it and why do I care? 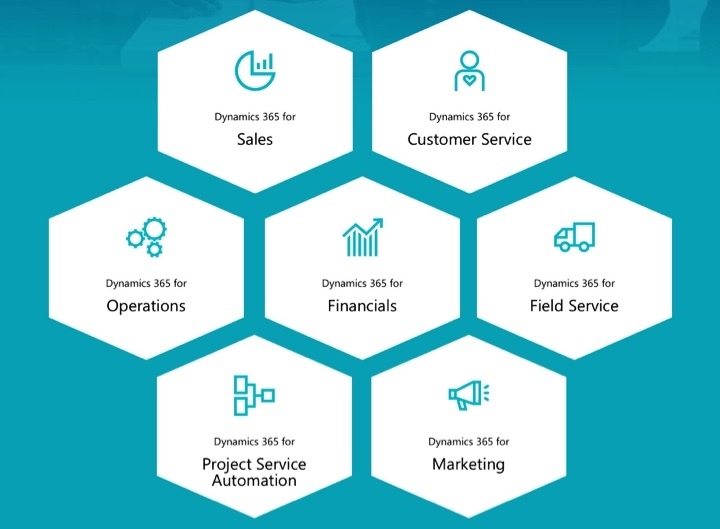 For those of us coming from a sales force automation background, in particular the Dynamics CRM realm, the introduction of Dynamics 365 adds a very important missing piece, along with a new learning curve and additional challenges. From a licensing perspective, I have already pointed to the licensing guides in the previous post you can find here. You can find bothe the Business edition, based of the NAV functionality, as well as the Enterprise edition, based on Dynamics AX. Looking at the Enterprise edition, one tool that all Dynamics AX professionals are used to by now is LCS. This stands for Microsoft Dynamics Lifecycle Services. Misleading generic name in my opinion, since it only handles at the moment Dynamics AX/Dynamics 365 for Operations. Nevertheless, for those coming from a CRM background, let us have a peek and see what this is. If you look at the landing page for LCS, found here, the marketing buzz words are left, right and center. Predictable, Automated, Proactive. LCS is basically a tool, in the form an Azure hosted portal and a set of services which allows us to perform various ALM (Application Lifecycle Management) actions in a planned and repeatable manner, resulting in consistency and predictability across multiple Dynamics 365 for Operations implementations. The portal capabilities also aims to provide a shared canvass for implementation partners and customers to collaborate together. The application lifecycle is comprised of the following three defined phases: Define, Develop and Operate. 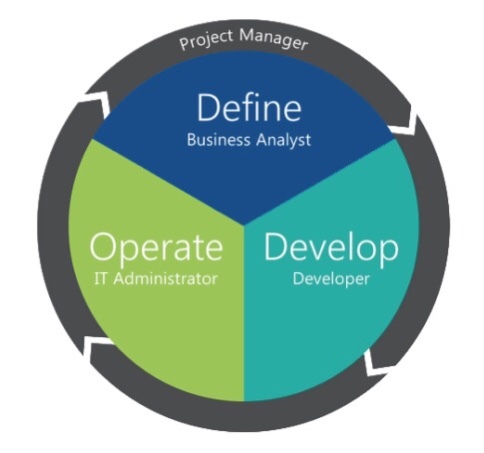 The personal targeted by this model include the Project Managers, Business Analysts, Developers and IT Administrators. Within each of the phases, there are a set of services that assist partners and customers with the project. The Define phase includes the ability to choose a Methodology to use with the project. The default methodology is based on the Sure Step Agile methodology, but partners have the ability to enhance this by adding repeatable components to add value and differentiate themselves from the competition. Custom methodologies can be created either starting from an already defined one, or from scratch, as needed. The Business Process Modeller and Task Recorder services allow for defining standards across the organization and projects. With Task Recorder you can capture process flows and feed them into the Business Process Modeller for modification and version tracking. These can also be exported to Visio, as well as they can be used in creating training and documentation. The License Sizing Estimator is the service used to determine and record the license numbers and types required based on users and roles. The Usage Profiler service assists in determining the projected and currrent usage of a designed environment. In conjunction with the Infrastructure Estimator service, it gives us a recommendation around scaling and environment both during the planing phase, as well as during the production period. Through the ability to analyze load volumes, planning of scheduled heavy load tasks can be done to minimize impact on an environments performance. The Develop phase includes services to assist with the implementation processes. Services include the Cloud Hosted Environments and Configuration Manager services, which assist with the planning and deployment of an environment to Azure, the creation of reusable deployment and configuration processes, and simplifies the moving of data between environments and legal entities. At a very high level, for those CRM guys out there, think of legal entities as business units in CRM. The RapidStart is a quick wizard based configuration service that can help reduce the time and cost of an implementation. Customization Analysis, another service in this category, uses a rules engine to identify best practices violations along with performance and upgadability issues. The output of this service are various reports that can be leveraged to produce actionable plans for developers. The Upgrade Analysis service, last one in the Develop phase, looks at an existing implementation and helps estimate the scale of an upgrade project. This is somewhat similar to the CRM Custom Code Validation tool available with some Dynamics CRM versions. The last phase in this set, Operate, includes services for managing an existing implementation, and is targeted primarily at IT Administrators. It includes the System Diagnostics service, which focuses on proactively monitoring the health of an environment. The Issue Search service is the entry point into a library of knowledge base articles, hot fixes and updates. It provides structured and filtered results in a manner that helps surface the relevant results faster. The Cloud-Poweredd Support service is looping the customer in the process, by allowing the tracking of support services lifecycle along with the ability to provide issue replication and tracking of issue resolution. Finally, the Updates service helps with the discovery of available environment updates, as well as their impact on an existing customized environment. This was a very high level overview of LCS, and it’s available services. While most of these services are specifically targeted at a Dynamics AX implementation, we have already seen services trickling into a standard CRM implementation. One example is the Data Loader service for Dynamics CRM. Along with that, some of the planing services can also be leveraged for a standard CRM implementation. With the close integration of Dynamics 365 for Operations into the platform, LCS made its way as a tool for managing implementations. I strongly recommend that all former CRM implementation partners become familiar with LCS. Leveraging the tool for implementations has a definite advantage, and it could become in the future much more integrate across the entire Dynamics 365 spectrum. For more details on LCS see the user guide available here, as well as the documentation available on the Dynamics Learning Portal (DLP).